Here in our travel department, we offer products that help you address common hearing-related problems that customers tell us you have. 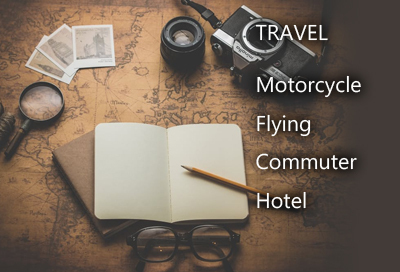 From help with sleeping in hotels, hostels, or when staying as a guest in someone else' home, to managing the pressure and noise related to flying travel, to help with wind noise when riding your bike, or both hearing and music listening help during your daily commute, we have the solutions you need to make your travel challenges a lot more comfortable. Whether you need a pack of inexpensive foam ear plugs you can give to your occasional rider, a great pair of reusable ear plugs that will virtually eliminate annoying wind noise, or isolation earphones that let you hear your comm unit or music while they block the wind noise, you will find just what you need right here. The earplugs listed here work by slowing the movement of air into and out of the outer ear, giving your inner ear more time to adjust to the changes in air pressure often experienced during flight. This approach works well for most people, eliminating or greatly reducing the ear pain they feel due to rapid changes in altitude when taking off and landing.